Father Robert Maloney, C.M. 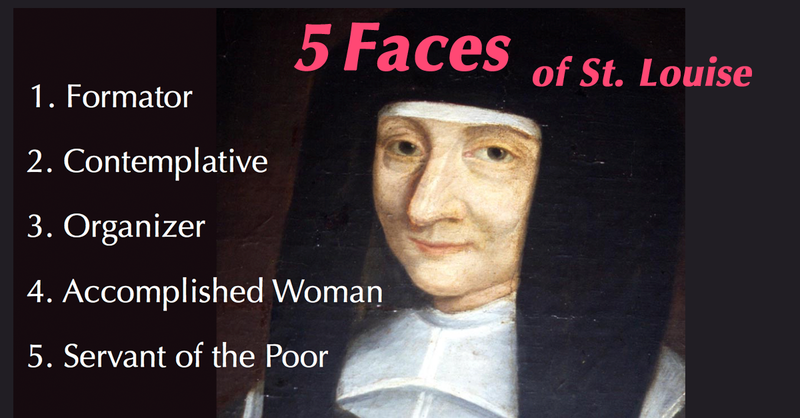 writes of the Five Faces of St. Louise de Marillac. Excellent presentation on Louise that will be very helpful to all who seek to spread the story of Vincent, Louise, Elizabeth Seton, and all our Vincentian saints. Thanks to Fr. Maloney and FAMVIN for making it available. Thanks for taking the time to comment, Sr. Regina. Others in the “Five Faces” series on Famvin are: Five Faces of Vincent, Five Faces of Mary, and Five Faces of Rosalie Rendu. It was crisp and captured Louise in a way that touched my spirit. You have a gift for writing and I appreciate that you freely share it.